Keynote speaker Adewale Troutman, MD, MPH, CPH. “Dr. Troutman’s presentation was thought provoking and will stay with me,” said one attendee. 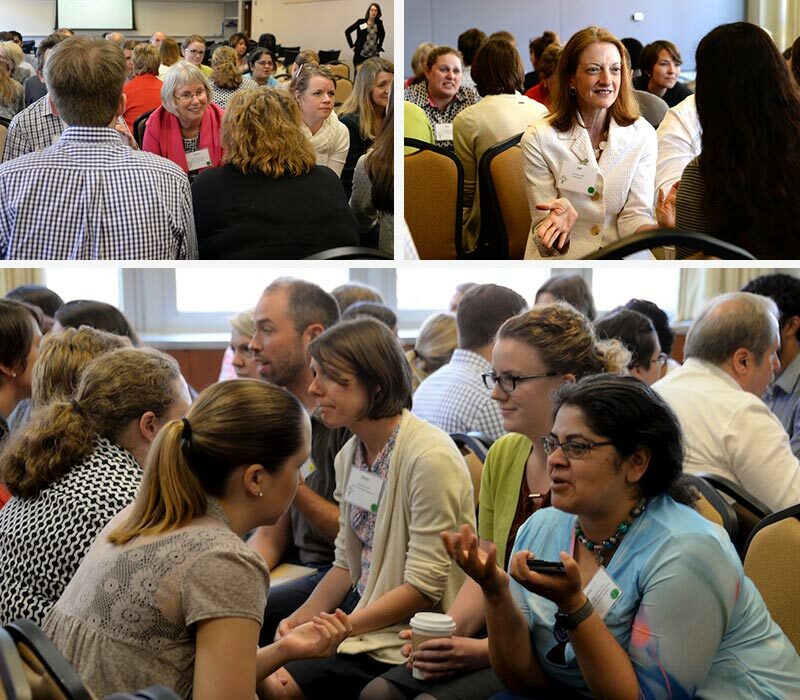 Over 100 people committed to improving community health gathered at the Pyle Center on June 2, 2016, for “From Patient to Practice to Populations: Growing Community Health,” a conference sponsored by the UW Department of Family Medicine and Community Health (DFMCH). 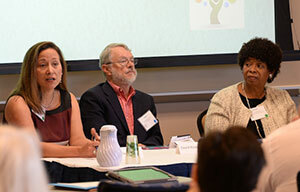 Clinicians, researchers, learners and community health advocates shared best practices for addressing upstream determinants of health, networked with potential collaborators and began laying the foundation for future community health initiatives. Keynote speaker Adewale Troutman, MD, MPH, CPH, the associate dean for health equity and community engagement at the University of South Florida, kicked off the day by reminding attendees of the power of one and the connection between social justice and community health. He closed his talk with a call for a movement to address health equity and social determinants of health. Panelists, from left: Cristy Garcia-Thomas; David Kindig, MD, PhD; and Doriane Miller, MD. Aurora Health Care’s Cristy Garcia-Thomas presenting the case for healthcare systems to respond to the needs of an increasingly diverse population. The University of Chicago’s Doriane Miller, MD, discussing hardship, opportunity, life expectancy, the importance of place and the need to collaborate with community members in research. Attendees ask questions of the panelists. Transformation: how our professional roles and identities influence how we think about health, and how we can better appreciate the perspectives of others to more effectively co-create heathier communities. Finally, DFMCH faculty and UW Health Medical Director for Population Health Jeff Huebner, MD, wove all of the day’s themes together, impressing on attendees the need for commitment, advocacy and action. “What can you do by next Tuesday…to work toward community health?” he said, paraphrasing Donald Berwick, the former president and CEO of the Institute for Healthcare Improvement and a former administrator of the Centers for Medicare and Medicaid Services. Scenes from the “speed-dating” networking session. Conference organizers heard attendees use the word “inspiring” many times as they described the day’s presentations, a sentiment echoed in the conference evaluations. “Dr. 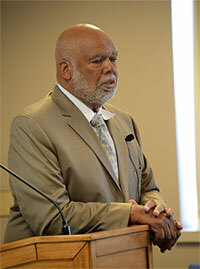 Troutman’s presentation was thought provoking and will stay with me,” said one attendee. “Dr. Huebner’s talk was beautiful and inspiring,” said another. Thanks to everyone who worked to organize the event. Look out for more DFMCH-sponsored opportunities for community health collaboration in the future! View complete conference details and presentations.